The Godfather of guerrilla marketing, Conrad Levinson, once said that; “Guerrilla marketers do not rely on the brute force of an outsized marketing budget. Instead, they rely on the brute force of a vivid imagination.” And this is as true today as it’s ever been. 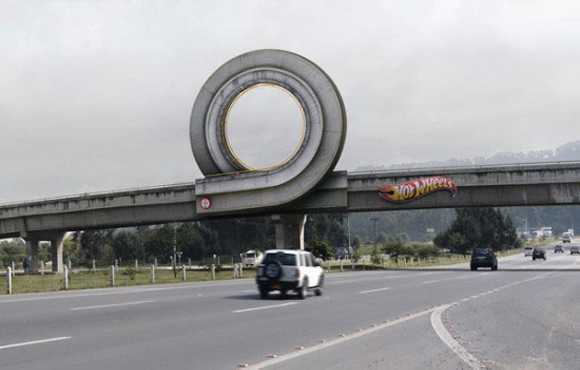 Guerrilla marketing thrives on original thinking and creativity, where imagination and ingenuity win over big budgets. Think the Ice Bucket Challenge – the most successful viral charity campaign ever, or Felix Baumgartner’s epic journey to the edge of space with Red Bull. 1. Old Spice: This iconic Old Spice commercial was funny, unique and charismatic, and it went viral in a big way. This original video has received over 50M views to date. 2. 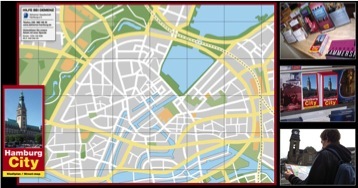 The Alzheimer Society Hamburg: This effective guerrilla marketing campaign involved staff handing out free Hamburg city maps at tourist booths. When users opened the maps, they saw only a mess of unmarked roads, mirroring the sense of misplacement associated with Alzheimer’s disease. 3. LG: What would you do in this situation? – Check out LG’s apocalyptic Meteor guerrilla marketing prank, which got people laughing worldwide. 4. Evian: Evian’s babies’ campaign is a favourite amongst marketers and the public, proven by the fact this video has received over 100M views! The multi-faceted campaign included an app for users to create their own baby image. 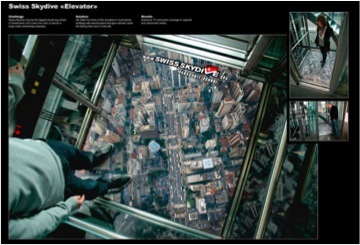 5 .Swiss Skydive: This sticker was placed on the floor of elevators, giving riders a taste of the Swiss Skydive experience. 6. Copenhagen Zoo: The Danish zoo covered a local bus in a striking custom design, which caught the attention of consumers all over the city. 7. Volvo Trucks: Volvo teamed up with Jean-Claude Van Damme for this epic video of him doing the splits on two reversing Volvo trucks. Who’d have thought a truck video could secure over 77M views? 8. T-Mobile: A video of the ‘T-Mobile Dance’ Flash mob went viral when 400 people gathered at Liverpool Street Station to perform an unexpected, but well rehearsed performance. 9. 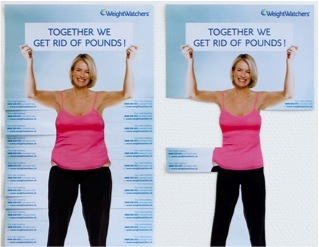 Weight Watchers: Guerrilla marketing isn’t just found in urban settings – it can be found in print too. This magazine advertisement changed shape as users remove perforated pieces. 10. Sony Pictures: To promote their movie Carrie, Sony transformed a New York coffee shop for a hidden camera stunt to capture shoppers’ reactions to telekinesis. The official video has had just over 62M YouTube views to date.